Another busy, busy weekend here - but I have a lot of photos to share! Saturday I woke up bright and early and headed north to Milwaukee. Lee and I had our third (and final) Pottery Barn Trunk Show scheduled, but before that began we visited the Milwaukee Art Museum. Lee and I were lucky enough to be invited to see their Uncommon Folk: Traditions in American Art special exhibit, featuring a few quilts from from Gee's Bend, Alabama. Because I always leave for events ridiculously early, I was actually the first person inside the museum for the day! How cool is that? The space was so beautiful and full of light, right on Lake Michigan. The Uncommon Folk exhibit had whimsical sculptures, paintings, quilts, photographs...all sorts of fun and funky things really. Of course, the five or six quilts especially caught our eye. Above, from left to right: "Lazy Gal" Quilt (1993) by Revil Mosley; Four Block Housetop Quilt (2000) by Rita Mae ("Rabbit") Pettway; Work Clothes Quilt (1935) by Rachel Carey George. I captured Lee taking a detail shot of this beautiful quilt. It was a really fun morning! 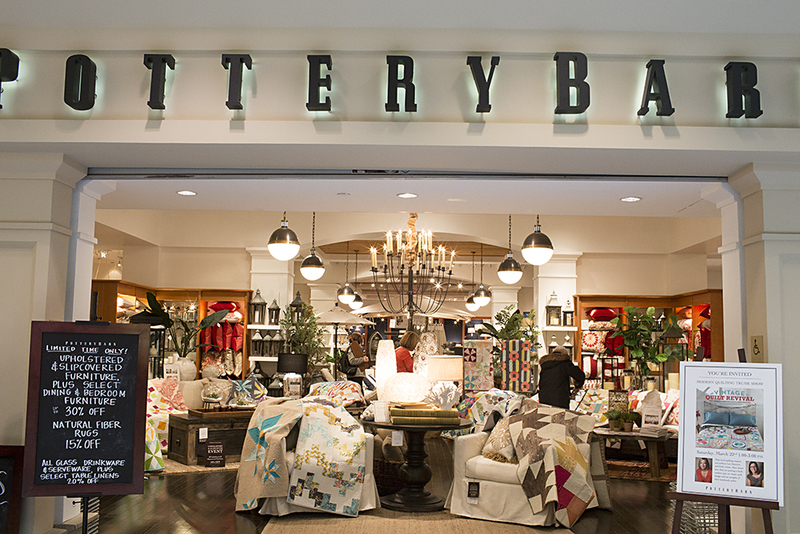 After we finished up at the museum, we headed over to the mall to grab lunch and set up inside Pottery Barn. This time we got to set up right up front. What an experience! Lots of people stopped by and it was so fun to meet everyone. Many told us that seeing quilts in person is such a different experience than seeing them in a book - and I cannot agree more! I also finished my big deadline quilt yesterday (woo hoo!) so now I'm hard at work cutting into my Shimmer fabric in preparation for a blog hop after Spring Break. I'll be posting some updates as I go along ~ paper piecing, yay!